The First World War brought about marked change. The response to Lord Kitchener's appeal for volunteers led to a marked increase in the number of men at the Depot. Church Parades to St. Paul's were discontinued to be replaced by Church Parades 'in the open air' within the Barracks. The volunteer battalions of Kitchener's Army, the so called 'Service Battalions', though attached to Regular Regiments had been raised in a number of ways. Of those attached to the Middlesex, the 11th, 12th and 13th were recruited by usual procedures, the rest, 16th, 17th, 19th, 23rd and 26th were by individuals or organisations at their own expense and later gifted to the War Office. Each Battalion was eventually designated by regiment and number but where appropriate permitted to retain a local number also. By the end of the war the Middlesex Regiment had increased to 46 such Battalions. The Middlesex was involved from the beginning of the conflict, arriving in France within seven days of the Declaration of War and in action at Mons just three weeks later. Middlesex Battalions served with distinction throughout the war gaining five VCs and eighty three Battle Honours but the death toll of 12,694 men was heavy. 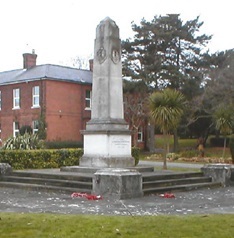 Tribute to their sacrifice is paid on a plaque in the church and on the Regimental War Memorial erected in 1922 close to the officers Mess at the Depot. At the end of the War most Battalions were disbanded. 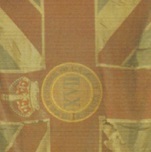 The King had however decreed that each Service Battalion should receive a 'Kings Colour' taking the form of a union flag upon which is mounted the battalion number within a roundel encircled by the name of the regiment. The colours were presented as occasion arose from 1919 on. 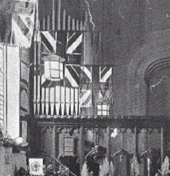 Eight of those awarded to battalions of the Middlesex Regiment were laid up in St Paul's in 1923 where they hung in the nave until their poor condition necessitated removal. At present the Regimental Association is seeking to have the roundels restored for return to the church in due course. On the home front, parish and depot combined to play a part in the war effort. Dr H.J.W. Martin a local GP, sometime churchwarden of St. Paul's and Medical Officer at Mill Hill School, undertook the post of Medical Officer at The Depot. The Officer Training Corps of the school had been trained pre-war by Sergeant Instructors from the Middlesex one of whom, Sgt. J. Copley, died in September 1914 whilst awaiting transfer to France and is buried in the churchyard. Volunteer recruits who trained in the village paraded to The Depot to enlist led by the OTC pipes and drums and in due course many of the Officer Cadets enlisted too. With the return of peace, The Depot returned to a training role. Church Parades to St. Paul's were reinstated and continued for some years. It would appear that church members were active in welfare also. There are at this period references to 'The Soldiers' Home on Bittacy Hill' the furniture for which, including a piano, was provided by the Church as a recreation facility for the soldiers - a service today provided by the NAAFI. Although there is no mention of a chapel among the buildings listed originally on the site, such a building appears to have existed from the mid 1920's . At about this time the weekly parades to St Paul's came to an end to be replaced by 'a military service for the troops at the depot held at 10.00 am on the first Sunday of each month'. This too appears to have been conducted by the Vicar of St Paul's.